Not since 2006’s Who Killed the Electric Car? has a movie made me want to ditch my automobile and go purely eco-friendly. In April 2010, the largest oil disaster in the history of the United States occurred 40 miles off the coast of Louisiana in the Gulf of Mexico. Under the orders of BP officials, Mike Williams (Mark Wahlberg), “Mister Jimmy” (Kurt Russell) and the rest of their crew drilled into the ocean floor, which resulted in a massive explosion, killing 11 and dumping more than 250 million gallons of oil into the waters. Director Peter Berg must be challenging Michael Bay, because the number of explosions is astronomical. He takes the audience and puts them directly in the fire and showcases just how massive of a catastrophe it was that these workers had to endure. 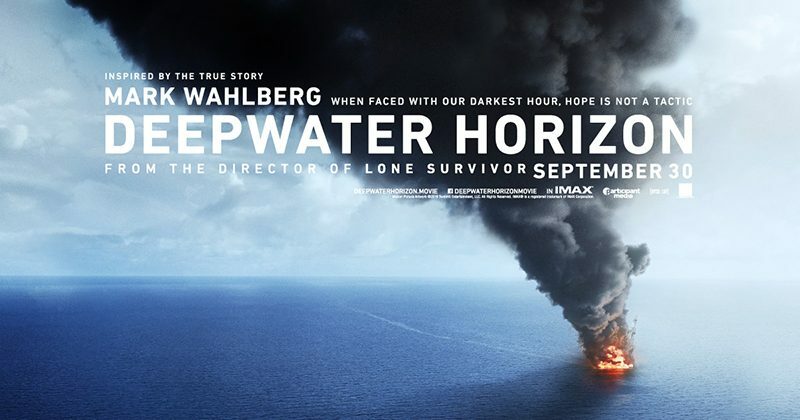 Wahlberg and Russell hold their own as they try to save as many lives as possible, but a small role from John Malkovich shows just how asinine corporate money-grubbing jackasses can really be. It takes a little bit longer than normal to get to the grit of the film, but once Berg detonates the rig, he refuses to take his foot off the accelerator, and it’s a nonstop escape sequence to the last five minutes.